A lot of parents are a little afraid of math. Possibly because they struggled with it themselves as kids. Or they have heard it’s being taught differently now or just because they don’t like it. Math is a sensitive topic in my own background having been tutored from 5th grade on my confidence in it has never been high. 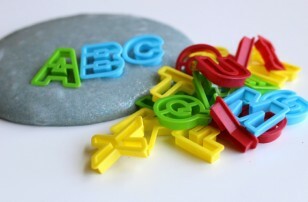 What changed all that for me was teaching it using manipulatives, games, and books. 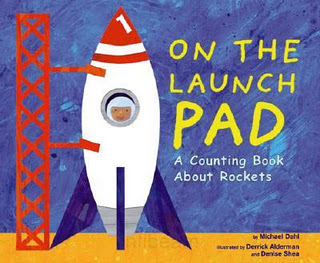 Picture books are great tools to teach math concepts. Even well into the elementary grades and feel very accessible to parents who may shy away from other math activities. You can find some of my favorite books about math. There is also a chance to enter to WIN the two fantastic Sir Cumference books from Scholastic Book Clubs, see details below! You Can, Toucan, Math: Word Problem-Solving Fun by David Adler is a graphically amazing book and the concepts are awesome too. This book focuses on word problem solving but the author has others (one about fractions that is actually a great cheat sheet for out of practice parents too) and many others. I chose to review this one because it’s closer to the level of math more of my readers will be at now or soon. 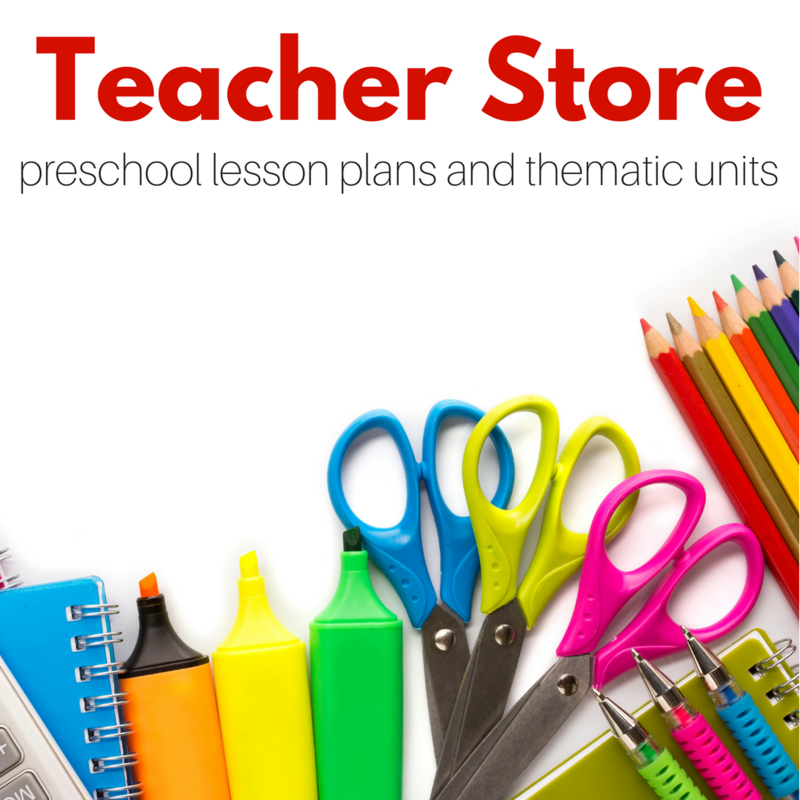 The book offers word problems and the illustrations are built in manipulatives and help children along naturally. While many of the problems answer keys use multiplication or division many can be broken down more easily and younger kids can simply count the illustrations. I like that this book will have a long shelf life in any home. Also, the illustrations by Edward Miller can not be any more amazing. 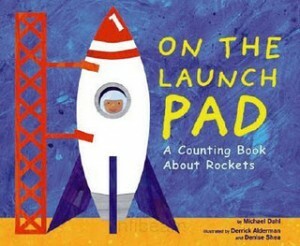 Great book for math interested preschoolers but more specifically school age kids. 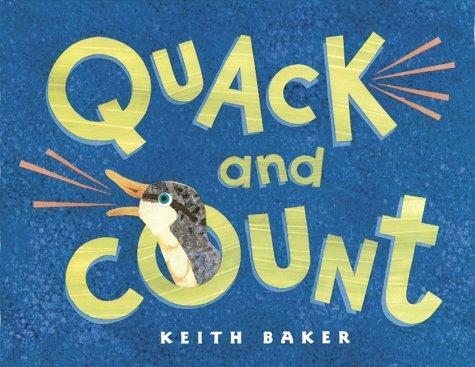 Quack and Count by Keith Baker is even better than Big Fat Hen. This book is awesome for multi-age groups. Although the text is simple there are two levels of math on each page. Simple duck counting as well as addition to arrive at the same number. I squealed when I read this to my son and daughter. We immediately realized how perfect this book was for us! Your kids will love the illustrations too. Eggs and Legs: Counting by Twos by Michael Dahl is a cute book with silly illustrations and a fun concept to teach counting by twos. The book counts from 0-20 by 2s but each page has multiple depictions of each number. Including dots to count and the number in the text. This was super useful to show my son as we counted by 2s. We weren”™t skipping the numbers, just grouping them to count faster. Fun and useful book. 1, 2, Buckle My Shoe by Anna Grossnickle Hines is a wonderful first counting book and a favorite of my daughter. The text is a simple rhyme and the pictures are photos of quilted numbers and buttons. The buttons correspond to the numbers. They are so bright that they practically beg a child to touch and count them. My daughter who is 14 months loves to push the buttons, trace the numbers and laughs at the hen. Very sweet book. 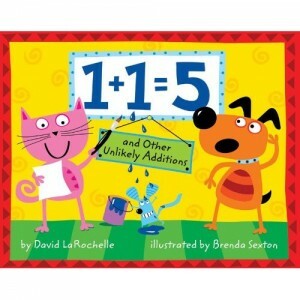 1+1=5: and Other Unlikely Additions by David LaRochelle was sent to me by the publisher a few months back. I waited to review it because the concept was a little over my son”™s head until recently. The book as you might guess by the title is not about adding the obvious but rather the less obvious numbers in an illustration. 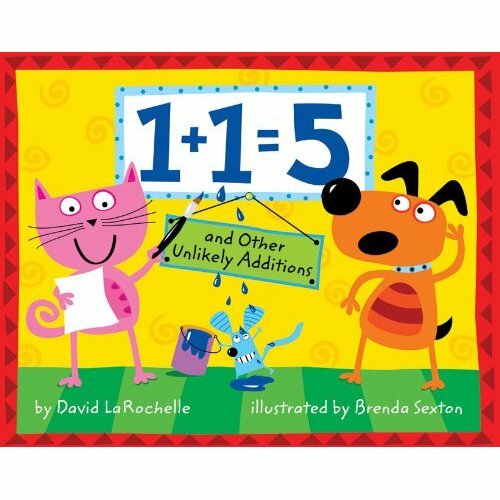 Do not read this book with your child until they understand addition, counting and won”™t get confused. That said when they have that down this book is a genius! I say that because it forces them to look at all different numbers of things to figure out what the author is counting. Readers see the equation first. But the objects to be counted are hidden and you will have to turn the page to figure it out. Flip the page and it”™s more obvious, for example, 1+1 = 100 and the picture includes a pumpkin and watermelon. You will see they are cut open with many seeds in full view when you flip the page. It”™s tricky but if you have a child interested in math or mysteries grab it and have a look. Just Enough Carrots (MathStart 1) by Stuart J. Murphy is a wonderful book about the concepts of less, more and the same amount. Unlike many books in the genre, this book manages to keep the words minimal. The story was engaging and the text even rhymes! It’s a scene that will be familiar to many preschoolers. The setting is a grocery store with a mom and her son shopping. Kids will love the thought of buying worms to eat. As the characters are animals, will quickly catch on to the concepts. 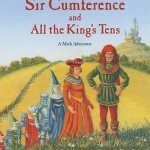 Sir Cumference and All the King’s Tens: A Math Adventure by Cindy Neuschwander is a story about Sir Cumference a faithful Knight to King Arthur and a mathematician in shining armor! In this adventure, Sir Cumference and his wife Lady Di Ameter are trying to surprise the king with a birthday celebration. But they are trying to figure out how many guests need to be fed. The story takes a turn for the math when they decide to group people in order to count them. It was an interesting read with my 5-year-old who is just at the cusp of understanding the very beginnings of place value. He enjoyed it very much. Plus it gave me a chance to introduce the concepts and a story to refer back to later. * Win this! 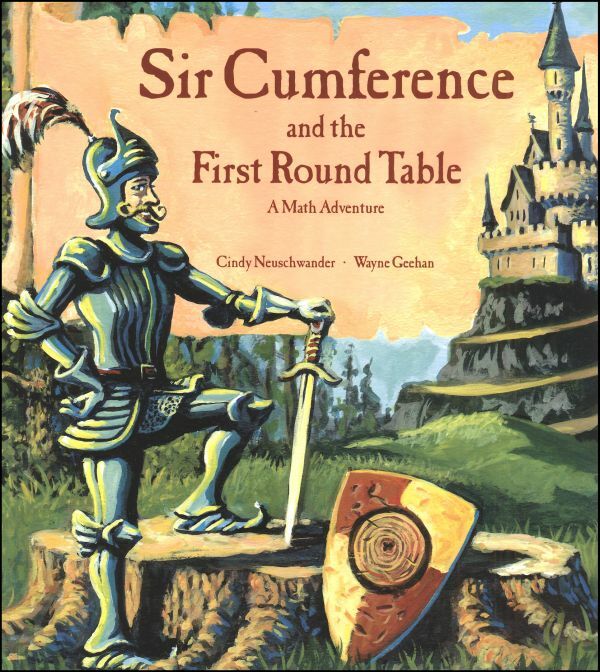 Sir Cumference: And the First Round Table (A Math Adventure) by Cindy Neuschwander is all about geometry and how the knights at the table came to be at a round table. 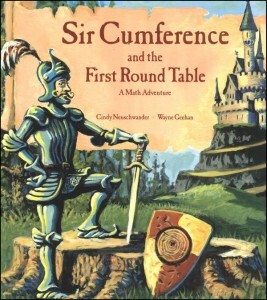 King Arthur is sick of all the side conversations and shouting at the long rectangular table, and asks Sir Cumference to find a solution. They go through a bunch of different shapes. But each has some major flaw until they finally settle on a circle. The terms diameter, radius, and circumference are fit into the story. This was a great way to introduce the terms to my son. 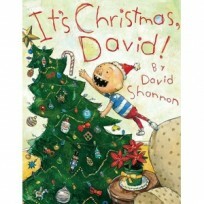 Great book for early elementary aged kids. * Win this! How Much, How Many, How Far, How Heavy, How Long, How Tall Is 1000? by Helen Nolan has been sitting patiently on my shelf waiting for my son to be ready to read it. 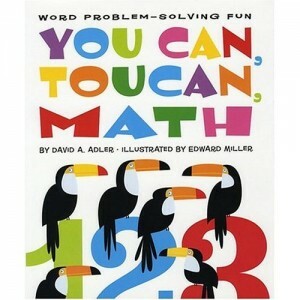 I used this in a math unit when I was a student teacher and absolutely love this book. 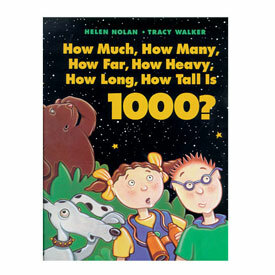 The whole concept of this book is to explain the concept of 1000. We often teach our kids to count to 100 but don”™t pay the same attention to getting them from 100-1000. This book takes it to the next step and demystifies the huge number 1000. It”™s interesting, it uses examples kids can relate too. But it gives many scenarios so those cogs turning in your child”™s head has lots of chances to catch! I read it to my son for the first time yesterday. I love being there for those moments when I know he just got it! 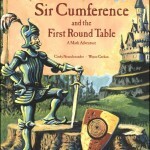 Sir Cumference and All The King’s Tens & Sir Cumference and The First Round Table by Cindy Neuschwander from Scholastic Book Clubs. Did you like math when you were in school? This sweepstakes is open to American residents 18 years or older. To be eligible for the sweepstakes you must leave a comment on this post answering the question “Did you like math when you were in school”? A winning commenter will be drawn at random, using Random.org, after the sweepstakes closes on Sunday, April 8th at 8:00 pm PST. The winners will receive the two books listed, valued at $16. After the winner is notified he or she has 48 hours to respond with their mailing address for Scholastic to ship their books to, or another winner will be chosen at random. No purchase necessary. The number of eligible entries received determines the odds of winning. Any information gathered through the sweepstakes including email and postal addresses will not be used in any way other than contacting winners and shipment of winnings. VOID WHERE PROHIBITED BY LAW. If you are new here, make sure to follow me on Facebook! 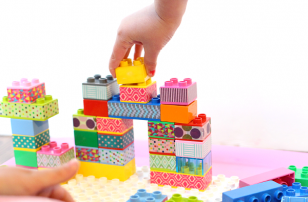 Next Post: Link & Learn – Fun Stuff For Kids ! I actually liked math when I was a kid. Now I am trying to figure out how to help my daughter love it too. I hated math! I hope things will be different for my kids. I loved math class when I was in school except for a couple of years that I had horrible teachers- some people are brilliant in a subject but not gifted teachers. I hated math when I was a child. We were taught one algorithmic way to do every problem and nothing made sense to me. I’m a teacher now and the way we teach math is different. We teach conceptually and we encourage multiple paths to the same end. When I encounter a child who says “I hate math,” we dig deeper to find. out why. Usually they are stuck on a concept. We work together to get unstuck and to find another way to get to the end result we want. Math really is fun and books offer additional ways to teach concepts. I’ve always liked math. Thank you for the giveaway! These look fun! I hated math when I was younger, they rushed through content and drilled the skills. However, since my schooling on how to teach math, and the pedagogy on how to teach math to elementary school students, I love math even more. The way that I present material to students (through concrete experiences and literature) the students are more excited and eager to learn and think in an abstract way pushing the limits. It’s amazing! Unfortunately, I didn’t like math! I loved math – this is a great resource, thanks! I loved math class when I was in school, except for one year… the teacher was horrible. Otherwise it was my favorite time of day in school. I LOVED math. It was like a puzzle that I had to “figure out”. The only year I didn’t like math was geometry. I had a horrible teacher! I still like math and enjoy teaching it to my children. I have always liked math. I did very well when I was in school and fortunately my 6 year old is doing well so far. He has a thing for numbers. I never loved math, and recall having some horrible math teachers. Now I’m busy trying to help my kids see why math can be so fun. I was okay with math up until about 4th grade. Long division really turned me off, plus some poor math teachers. I hope my children can learn to like it better than I did. Luckily my husband is good at math and enjoys it so I have a little bit of help when it comes to math. I didn’t care for math in school. It wasn’t that I found it too hard, I just don’t get excited about equations and numbers. As a result, I am finding that math is my weakest point as a homeschooling mother. I love the book recommendations! Yes I liked math, and these books look great! I hated math when I was in school. I could never understand the concepts and as a result as a grade or 2 behind my peers in math. (I was senior in HS and taking math with sophomores) Now that I’m homeschooling my daughters, I’m trying to get over this aversion to math and hopefully teaching them helps me. Yes, i really did! Still do. Thanks for the chance! I enjoyed math until my sophomore year of high school when geometry started;-). I loved math and ended up majoring in math and economics in college. I worked for a couple of years in the field but decided it was not as much fun as being a mom. I always liked math. Thanks for the giveaway! Math was my favorite. I’m weird, LOL. Nope – I hated math, and always struggled with it. And now, I’m obsessed with making sure my daughters old LOVES math! and am always coming up with different ways to make it fun. Thanks for the book recommendations! I loved math!! Ended up as a CPA. I loved math until I hit geometry. Things went downhill then. Might have been the teacher I had. I did like math! Books look interesting! i loved math! and the harder it got, the more i was hooked. I just love it when you do a list of books based on a theme. And of course in our little school math is a favorite, so what better than to win math related books. 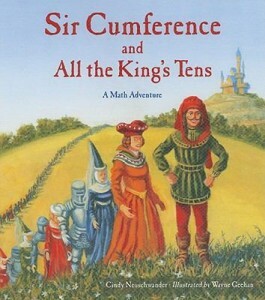 I love the Stuart Murphy books, and am looking forward to the Sir Cumference books. Thanks for sharing. This was such a great post to read! We have been looking for slightly more advanced math books and these look really interesting. I always loved math class but it has been hard to get my daughter interested (yet). I loved math! And I’m thrilled that my kindergartner does too. Math was not my best subject. But I hope my girls like it more than me. Math has always been my favorite subject to learn and teach! I actually did like math as a child. 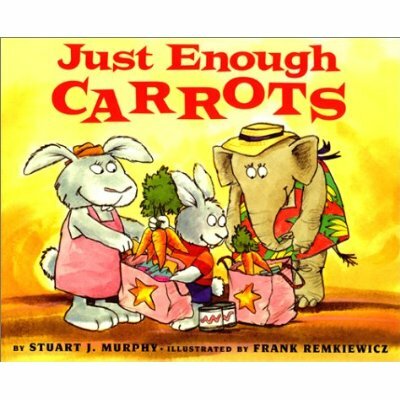 I had nO clue they made picture books to teach math. That’s so fun! I was over with math. I really did not enjoy it but I did good at it. I didn’t enjoy most of math in school. I’ve always loved math – one of my best subjects, and I hope my girls enjoy it too! A book from the library we are a loving this week is The Great Graph Contest by Loreen Leedy. My 5 yo son and 7 yo daughter both love it, and get it, and have made their own graphs this week. I hated math as a kid. The thinking had too many rules. Yes, I loved math as a kid. I didn’t hate it but i definitely struggled so much with it! Of course, I grew up in in another country where there was no other ways of learning (even if you didn’t learn best just by listening) but keep drilling the problems until you get it. So i finally passed each grade (with pretty good grades) because i memorized ALL the problems!! I ended up being an artist! When I got to America, I told my husband, “I wouldn’t have had so much trouble if they would teach like that in [my country]!” Love these books!! I honestly did not like math when I was younger, I wish that they had books like these because it would have made it so much easier to learn about the math concept. Now that I have student taught and am now a elementary substitute teacher I have slowly developed a love for math, and I hope to share that in all the classrooms I sub in. I loved math as a kid but the love subsided in junior high. I liked math until Algebra showed up. Then math and I became great enemies. I didn’t develop a dislike for Math until the 3rd grade. I was in a gifted program that removed you from the class once a week, and that year it happened to be the day our regular teacher covered new math concepts. She basically said we were “smart enough” to figure it out on our own and she shouldn’t have to help us. I shouldn’t hate math because of one teacher, but she ruined it for me. 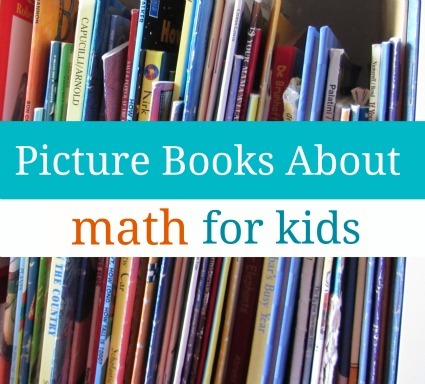 I’m trying to take a living math approach with my 5 year old, and math readers are something I want to incorporate, so I can’t wait to look for these books! I liked math a lot until I hit pre-calculus. I am hoping my children love math too! We need to explore more math related books. Thanks for offering this giveaway! I did like math in school and hoping my kiddos will as well. I looooved math! I just “got” it. I’m nervous about teaching my kids math because I’m really not sure how to teach someone who doesn’t “get it” like I did. I would really live to win the books! They look great! I always liked math until HS. Then a combo of unfortunate teachers and other interests swayed my attention in other directions. I loved math. I am of the post Sputnik “New Math” generation. My daughter has a BS in math education and a BS and MS in computer science. My son is getting an MS in applied mathematics. I taught math in the elementary school system. I guess were just a math household. When my grandson was 2 and learning shapes…they taught him the proper names. How many kids answer rhombus in preschool when asked what a rhombus shape is? I think the other kids were a bit confused. Honestly, I didn’t like math as a child. But now that I have a son that loves it, I’ve found a new appreciation for the subject having found loads of fun ways to make practicing and sharpening his (um … and my) math skills! I’d love to win these books. Our area libraries don’t have them. I loved math, still do. I did love math while I was in school until about eighth grade when I had a teacher that was literally crazy. As a child I didn’t understand, but she had some mental issues (and thus left the school later) which she did not have a handle on. She scared me away from math, which I used to be really good at. It was not until 10th or 11th grade when I had a fabulous geometry teacher that I started to excel again, but it was never the same. Then today I find that I do not remember nearly as much as I wish I could. YES…. I am an engineer! Yes, i liked math from a very young age, but I do recall thinking that it could/should be taught in more fun and practical ways. It was always taught as dry and formulaic. I’d love to teach my daughter with improved methods. I loved math and my son is already into numbers! I struggled with the subject and didn’t like math until I had an incredible teacher that actually made it fun for me. Ironically, as a student teacher, they picked me to teach 6th grade math. I tried to make it a fun subject for them as well. Thanks for the opportunity to win! Ugh….struggled big time…even took a different major in college JUST to avoid certain math classes. My oldest (6) loves it with a passion. Does it for fun. Go figure. I loved math in school, but I have to say I think I was lucky and had fantastic teachers that made math fun and practical (not just numbers on a page). I hope I can show my kids the same thing! Math was not my favorite, but I hope that isn’t so for my kids! I liked math although never really found it challenging enough. I just learned the how and not the why so I am excited to help my little ones “discover” math and understand the why’s. Thanks for the chance to win these. I loved math, mostly because my favorite teachers were my math teachers. When I was younger, I hated math! Today it seems so many more strategies and manipulatives are out there for children which will hopefully make it easier for them! Oh no, I was useless in Maths and it really bothered me all the way to high school! Math was always my favorite!! I even got the amazing opportunity to teach math (just math all) to elementary school kids. It was by far the best job I ever had. Thanks! I had so much trouble with trig that I almost didn’t graduate but absolutely loved algebra. I think it’s the puzzle solver in me! I enjoyed math although I wouldn’t say that I loved it as much as other subjects. I agree that good teachers (and patient, creative parents) make all the difference in getting kids excited about math. I liked math on and off… it mostly depended on the focus of the year. I cannot blame it on the teacher since I was homeschooled. I have always enjoyed math! Now I look for fun ways to share that with my children so that they too will love math! Loved it and still do! I do math for work and for life every day. I hope my kids end up liking it as much as I do. Took me a while to like math, but eventually I did and throughly enjoyed Algebra. Thanks for the chance! I loved math except for measurement and the metric system. What fun books! I loved math growing up. It was one of those subjects that came naturally to me. I loved math until I got to college. Calculus II kicked my behind. I hated math when I was younger. I enjoy teaching it now, but I still lack confidence. I did well in math, but didn’t really like it. Yes! I loved math. Although as some others have noted, I had some teachers that I didn’t like and so there were years I didn’t care for math CLASS, but I just love the straightforwardness of numbers as opposed to the bewildering complexity of language. Math was one of my favorite subjects when I was young, and get to really enjoy with many children and others when possible. Learning never ends . . . I was mostly neutral towards math, although I did well enough in math class. After high school calculus I though I bid it adieu … only to come face to face with it again in my attempt to get a PhD in Political Science. So, I guess I would sum up by saying I have always had a wary ambivalence towards math. i loved math and still do. thanks for the giveaway! I liked math until about 6th grade. Then, it started getting hard and I was annoyed that I wasn’t as successful as I had been in the past and as I was in other subjects. Like the author of this article/giveaway, I didn’t start really “getting” math until I was in college, taking a class about how to teach using manipulatives. I still don’t like math a lot, but I realize how important it is for daily life…even the pythagoreon theorem (sp?). Whether or not I liked math in school depended on my age. I struggled with it for a few years, but it finally clicked. I don’t think I liked math all that much but I didn’t mind it too much. I tolerated math pretty well in the early years, and would even say I enjoyed it. Then as high school and college classes came along and the challenges were greater, I didn’t enjoy it quite so much. 🙂 I’m homeschooling my 5 & 6 yr olds, and this would be a great resource to use with them! I didn’t mind math, as it came easily to me, but it never seemed terribly fun or interesting to me. Hopefully, my daughters will love it! I did not like math as a child because it was really hard for me. When I got to college and took some math education classes I really started to understand concepts and enjoyed it much more. 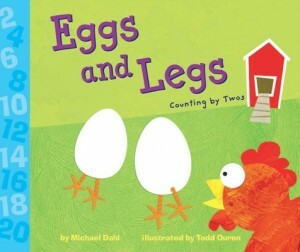 Those Sir Cumference books look too cute! Didn’t mind math. Think I would have liked it more if my parents had liked it more. They are both readers/writers so that’s what I gravitated toward. I love math! I actually won some fun trips to amusement parks because of math, I was a mathlete from 4th through 8th grade. Now my 4 year old is REALLY into numbers. In fact, last year he requested we decorate his room with numbers, not trucks or superheros, numbers. I know he would love these books. Loved matthew as a kid and I am glad that my son does too! I always enjoyed math, until I reached calculus in high school. I truly think the teacher makes all the difference. I did love both math and reading as a kid…. and I am hoping to pass this on to my daughter… with books about math! I did not like math it was hard to grasp some concepts like place value and division. I am now a special education math teacher and I teach my student with concrete manipulatives which makes it easier for them to learn and grasp the concepts that were hard for me. I also integrate a lot of literature with my plans so they can see that math is all around us! Math was never my favorite subject as a kid. I neither liked it nor disliked it. But it would have been more fun with books like these 🙂 I have always loved to read! I loved math! It was one of my better subjects and I love teaching it to my kids. I did not like math in school. I struggled with reading and math and my teachers never seemed to notice how far behind I was. I am now a 4th grade teacher and math is my favorite thing to teach! This is my second year teaching and we started fractions about three weeks ago. I am happy to say most of my kids are doing very well AND some even are saying the LOVE fractions. Yes, I have always enjoyed math and want to instill that same love in my children. These would be fabulous books to help them want to learn more about math. Never liked math but thankfully married an engineer who helps the kids with their math homework! Math was ok, but I didn’t really understand it until I was older. I did actually enjoy math in school! However, I’ve been struggling getting my son as psyched about numbers as I was. I’m hoping these books will help! I enjoyed math up to multiplication—- then after that, I *hated* it. Hope it’s diffrent for my kids…. I liked math some, but I remember that my mother had to teach me fractions because my 2nd grade teacher couldn’t seem to present the material in a way I understood. I enjoyed math when I was older but mostly applied in science classes. I liked math in school as a kid and now I teach math. I love finding ways to make learning math fun! I actually liked math when I was in school. Sometimes it was difficult and I didn’t have the patience to figure out long equations so I didn’t do well but overall I liked it. I would love to win. Thanks for the opportunity! I didn’t really get math until 7th grade. After that it just clicked! I’m looking up some of these books right now so hopefully my 5 year old will feel successful with numbers earlier than I did! I LOVED math as a child. It was always my favorite subject! I liked math in elementary school but not high school. I was good at it until calculus (mainly because I stopped trying due to complete disinterest). I loved playing with numbers. Math can be lots of fun! I want my students to know this too! (We had Math Night this year, with lots of fun activities- polyhedron balloon sculptures, Race to 10, Shut the Box. We’re hoping to teach parents and kids just how fun math can be! I enjoyed math up until I had difficulty one year and the teacher told me he couldn’t help me. Just don’t pick to do those problems on the end of year exam. After that it was hard to come back to liking math. But I had a good teacher the following year who offered help during our lunch hour who helped me get my confidence back. I did enjoy math in school. I wasn’t crazy about the multiplication/division drills though (or any other drill for that matter that put you on the spot). No, Math was not my favorite. I’m hoping to help make it fun for my kids though! This is a great giveaway. Thank you for the opportunity. What a great post! Yes, I loved math. I was in school for mathematically gifted, and I got all the way to M.S. in math 🙂 I hope my daughter inherits our love for math too. I’ll be looking for some of these books! Loved it! So much so that I studied middle school math in college. I always loved math as a child and still do as an adult. I look forward to helping students find ways to love and understand what they are learning. Books make it so much easier and lots more fun when learning math. I loved math so much that now I teach 8th grade math. I have a niece who I can’t wait to teach fractions to! I loved math and my oldest daughter is following in my footsteps. However my youngest has difficulty. 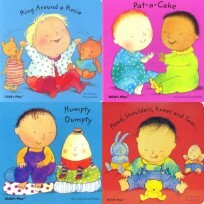 Love these books! I hated math. And I’m doing all things I can so that my children will not hate math the way I did. I think this books will be good in averting math hatred for my children. While it wasn’t my favorite subject like reading, I was still interested enough to participate in competitions and challenges. My mom is a math instructor so we always had to check my work at home at the kitchen table, and she developed a fun quiz game for my class one year. I still count on my fingers and use the touch-point methods though. I didn’t like math growing up and it continues to make very little sense to me. I want to do better for my boys. I liked math but struggled with it, I really wanted to understand it. I wish these books would’ve been available to me. I liked general math in school but didn’t do so well in advance math. Thanks. I did not like math. I found it very difficult. Once my mom showed me how to use a more hands on approach I got it! No, I didn’t like Math when I was in school. Hope it won’t be the same with my kids. I wouldn’t say I loved math, but I was good at it and it made sense to me. Till I got to calculus, which I still got a good grade in, but had no idea what was going on. I didn’t like math as a child. I fought my parents to learn the multiplication tables and didn’t like the right or wrong aspect of the subject. But, I loved books! If I was able to read books that supported math concepts, I think I would have liked math a lot more. 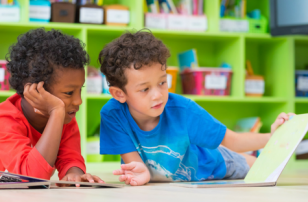 I loved math and I think it is good that there are pieces of literature that can help children connect with math better. I LOVED IT!!! Math is like puzzle fun to me. As a mother home-educating her children, I love that I have discovered math literature! Pretty much yes I did like math as it was easy for me. I just didn’t like having to sit and do it. I did not love math. I too was tutored and struggled quite a bit. It makes me so happy to see all the “I love math!” comments : ) These look like excellent books. Thanks!! I loved math and I still do! No, I was not a fan of math in school and I needed a tutor a lot. I loved math as a child!!! It was one of my favorite subjects but my daughter is having a hard time with math. I would love for her to have the books. Thank you! I didn’t love math, but I was kind of good at it. Looking back on it now, I wonder if I didn’t like it because I thought I wasn’t supposed to like it (because I’m a girl, it’s hard, etc.) My 4 year old daughter loves math and I’m working hard to encourage her interest! math was my favorite subject, and it is now my son’s favorite subject 2! I, for the most part, liked math in school. I was definitely not a fan of math. It wasn’t an issue in the elementary years, but I definitely disliked it as I progressed through the upper grades. I loved math in school. That’s why I am now a 6th grade math teacher. Some of my students would really benefit from reading these books!